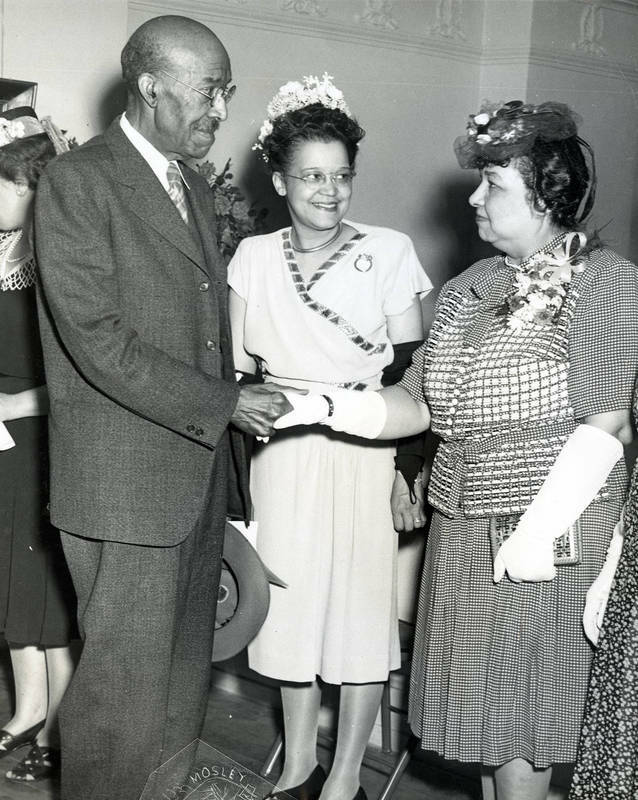 Laura Wheeler Waring greeted by Dr. Nathan F. Mossell and Sadie T.M. Alexander at an art exhibit. This material is subject to copyright law and is made available for private study, scholarship, and research purposes only. For access to the original or permission to publish, please contact the Charles L. Blockson Afro-American Collection (blockson@temple.edu; 215-204-6632).